Bloomsbury USA Childrens, 9781582348148, 200pp. 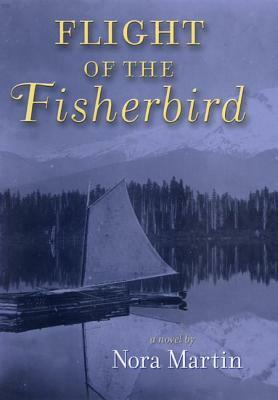 It is 1889, and growing up as the only child on a small island off the coast of Washington State has taught Clementine Nesbitt to be self-assured and capable, especially in her boat, the Fisherbird. But her confidence is shaken one foggy day as she finds herself rescuing a Chinese man who has been thrown overboard from a ship. The nearly drowned man, Tong Ling, was trying to find a new life in America, but instead finds himself at the mercy of heartless smugglers. Clementine and her friend Jed Parsons are sure that they can save Tong Ling by sneaking him to a nearby town where he can escape to Alaska. But will Sarah Hersey, the orphaned girl living with Clem's family, reveal their plan and put them all in danger? And does that danger come from within Clementine's own beloved family? This intriguing novel, punctuated by Clementine's heartfelt poems at the outset of each chapter, explores not only the beautiful San Juan Islands and their fascinating history, but also the complexities of good and evil in every human heart. Nora Martin has written three young adult novels: A Perfect Snow (a Junior Library Guild selection), The Stone Dancers, and The Eagle's Shadow, which was listed as a Bank Street College Best Book of the Year and noted as an ALA Best Trade Book for Social Studies. She is a school librarian in rural Montana.